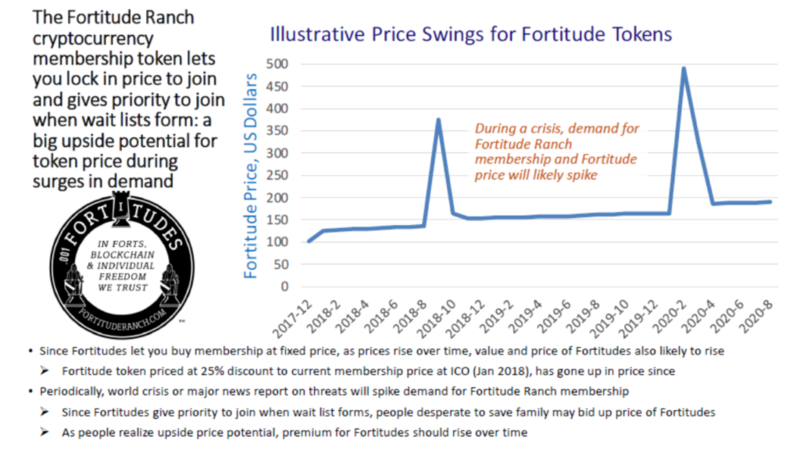 Fortitude Ranch, a recreational and survival community, has created a tradable cryptocurrrency token for advance membership sales to fund expansion to provide more people with a cost effective, affordable means to survive a collapse. Our cryptocurrency token, called a Fortitude, gives you a discount price on Fortitude Ranch membership, protection from membership price increases, and priority in joining when there is a waiting list. 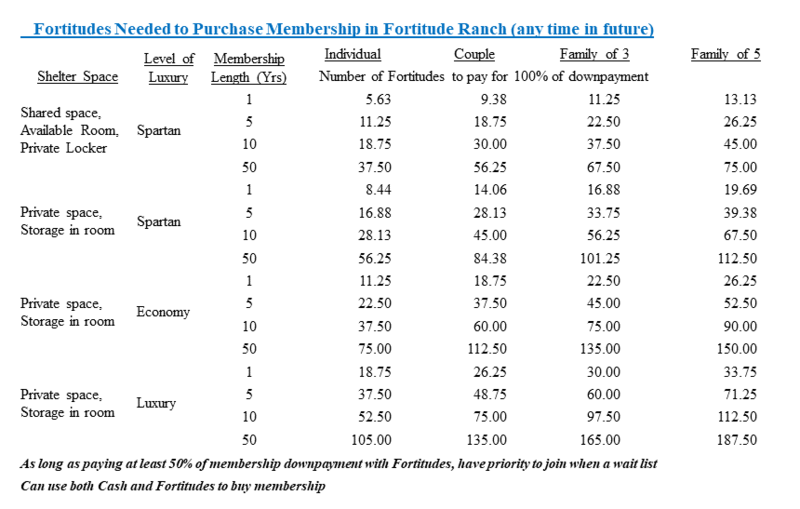 The table below shows the number of Fortitude tokens needed to join Fortitude Ranch (making the initial downpayment) for different types of membership. This token price is fixed. Cash membership prices will rise over time, but the price to join when paying with our Fortitude cryptocurrency membership tokens will not change. If you can pay at least 50% of your membership down payment in Fortitude tokens, you get priority to join over cash buyers. This priority to join feature of the Fortitude Ranch membership token is a significant advantage as the chart below explains. This is a utility token, an advance purchase of membership, with no equity or security features that should not result in any future securities regulation issues. We "coined" the term Initial MemberCoin Offering to emphasize that this is a utility token. 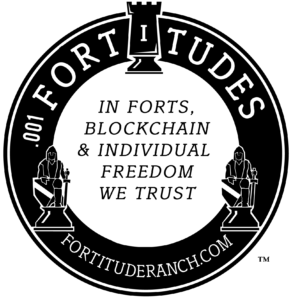 The value of our membership token may rise because Fortitudes give both a locked in price and priority to join when waiting lists form to join Fortitude Ranch. In the event of a major crisis or media reports on threats, demand for membership in FR will surge beyond our capacity, and the price of Fortitudes may spike since those who want to get in will need Fortitudes to have first place in the wait list. The advance sale of Fortitude Ranch memberships via our Fortitude token will fund our expansion from two existing sites to a dozen sites across the United States, and an international location. FR is a large survival community that can keep members spread out (for virus protection) with sufficient size to deter/defeat marauder attacks and raise crops/livestock. We are fully equipped to survive any type of disaster and long-term loss of law and order, managed by full time staff. FR is affordable because of large numbers of members and economies of scale. FR is especially attractive to join because it is a recreation/vacation facility as well as a survival retreat. We locate in remote locations in mountains and forests, ideal for hiking, fishing, hunting, and all types of outdoor recreation. A pandemic is inevitable, with bioengineering, nuclear proliferation, nanotechnology, artificial intelligence, and many other new technologies increasing the capability of a small nation state, terrorist group, or even an individual to trigger a huge disaster. Our “Just in Time Delivery” economy, daily food shipments in cities, and dependent populations, are very vulnerable to a collapse in a functioning economy and loss of law and order that could last for months or years. Food delivery trucks will not come into big cities during a pandemic, electric outage, or other disasters that trigger panic and lawlessness. Rather than focusing on these growing threats and protecting the population, Big Government is focused on buying votes and increasing its power via entitlement programs and regulations shaped by Big Corporations. In the United States these are largely unconstitutional laws that ignore the 10th Amendment to the Constitution which bans any federal government exercise of power that is not specifically mentioned in the Constitution. While Governments have shelters for their top leadership and priority protection from police, they are not working to protect citizens from collapse disasters. 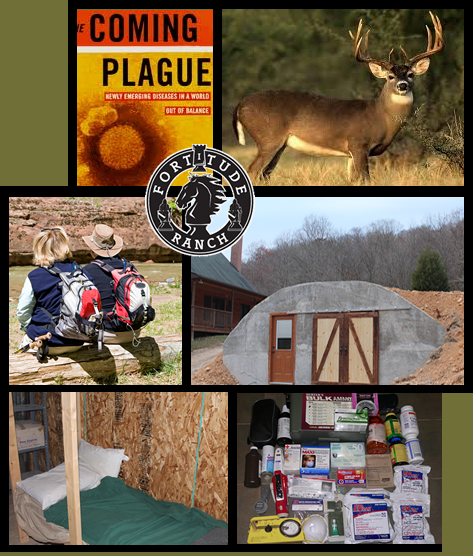 Everyone needs to be a “Prepper,” taking steps to ensure family and friends can survive a long-term collapse of a functioning economy and loss of law and order. 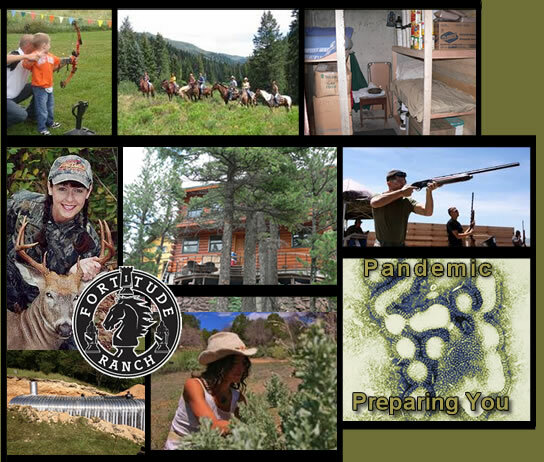 Founder and CEO of Fortitude Ranch is Dr. Drew Miller. Drew is a USAF Academy honor graduate, intelligence officer, and retired Colonel. He received an academic scholarship to Harvard University where he earned a Master’s Degree and PhD. 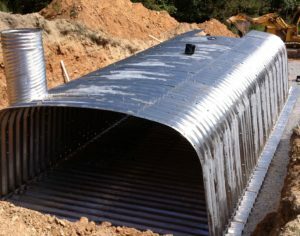 His PhD dissertation was on underground nuclear defense shelters and field fortifications. After serving as an intelligence officer on active duty, Drew entered the reserves and started a business career. He served as a Manager of Corporate Planning and Development at ConAgra Inc. (a Fortune 25 Food and Agriculture Company), VP of Business Development for Securities America, a broker-dealer, and Managing Director of Blockchain Business Consultants. Our White Paper and details on the Fortitude Ranch Initial MemberCoin Offering are available here. For questions, contact Dr/Col Miller at manager@fortituderanch.com. Purchase Fortitudes via credit card or PayPal below. We can hold Fortitudes you purchase from us for your future use to buy membership, or transfer to you later when you obtain a digital wallet. With your payment, we receive your email address, name and shipping address, and you will receive a receipt from PayPal. If you want an additional acknowlegement of this purchase, you can email Fortitude Ranch, and we'll reply with an additional receipt and details on how to access the Fortitudes we purchase and hold for you. Fortitude tokens are now being sold for $145 each. A 5% discount offered if you pay by check via mail (see Contact Us tab for address) rather than buying via PayPal. Fortitude Ranch executed a successful "Initial MemberCoin Offering" in Dec 2017-Jan 2018. We sold 4,300 "Fortitude" membership tokens. No additional Fortitude tokens will be created, but the company purchased some of these tokens to allow continued sale of existing tokens. Information on our cryptocurrency membership tokens is provided below. 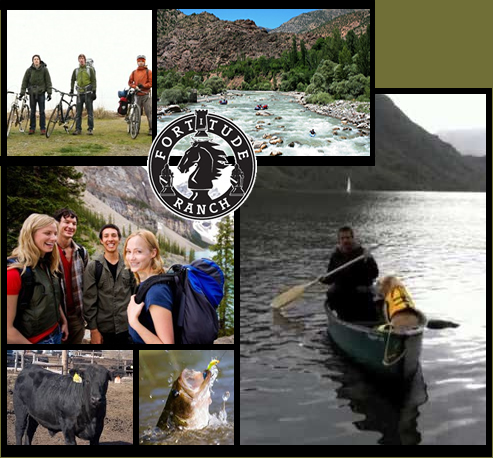 Click on any of the attachments below to learn more about Fortitude Ranch and its mission.